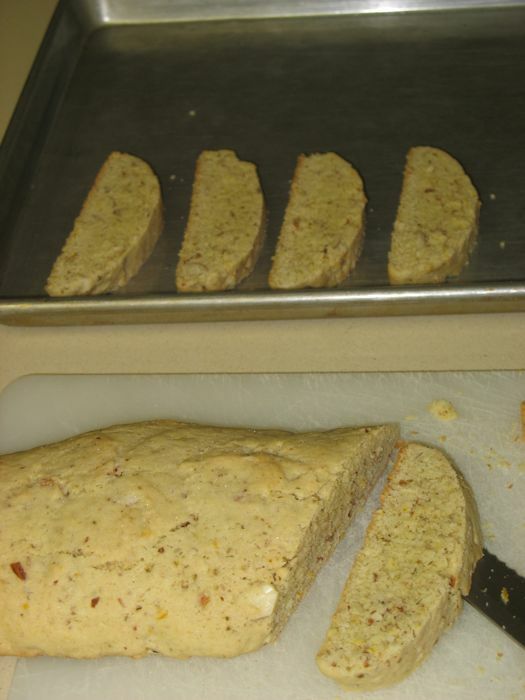 I had planned to make biscotti for the church ladies this week, then remembered that they all sort of nibbled around the corners of that cookie, not wanting to make it sound crunchy, even though outside of their happy mouths no one can hear the crunching, so thought I’d try and find a Valentine Cookie that was quieter. I found this while searching and proceeded to make them up as directed. Except I tripled them–Kids, Don’t Try This At Home! Just make them in a single batch and you and your mixer will be much happier. I also noticed in the comments that many substituted out the peppermint extract for almond extract. I think that would be a better choice, as I found the peppermint in full strength to impart an almost bitter taste to the cookie. 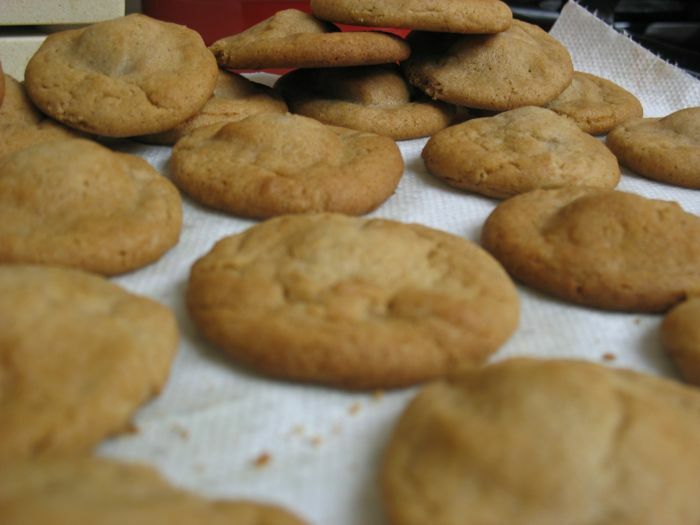 I also have an ancient sugar cookie recipe that mixes the ingredients a little differently: cut the butter/cream cheese into the flour, add the eggs/liquids, and go from there. I am thinking that would have been a lot easier than the mess I made in the kitchen today. Combine all cookie ingredients except flour in large bowl. Beat at medium speed, scraping bowl often, until creamy. Add flour; beat at low speed until well mixed. Divide dough in half; wrap each half in plastic food wrap. Refrigerate 2 hours or overnight until chilled. Heat oven to 375°F. Roll out dough, one-half at a time (keeping remaining dough refrigerated), on lightly floured surface to 1/4-inch thickness. 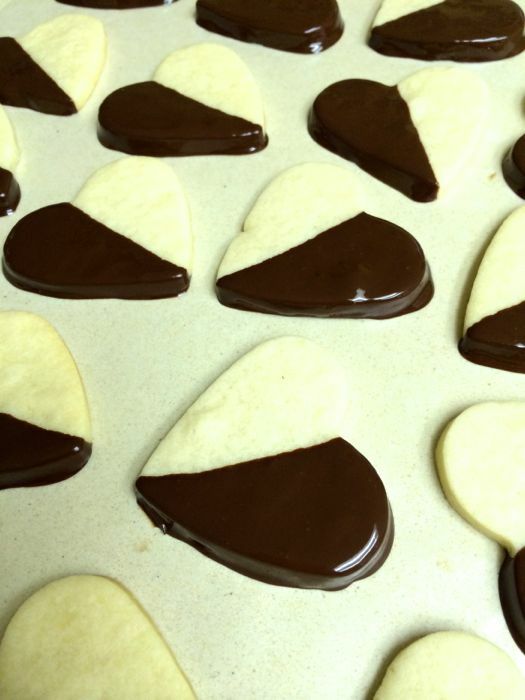 Cut out cookies with 2 1/2-inch heart-shaped cutter. Place 1 inch apart onto ungreased cookie sheets. Bake 7-10 minutes or until edges are very lightly browned. Remove from cookie sheets to wire cooling rack; cool completely. Melt chocolate and shortening in 1-quart saucepan over low heat, stirring occasionally, 4-6 minutes or until melted. Dip half of each heart into chocolate. 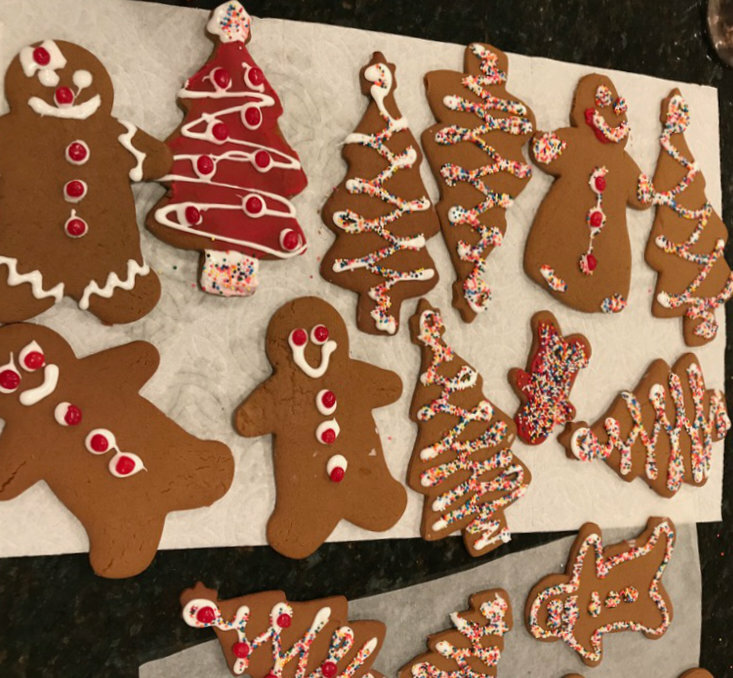 Place onto waxed paper-lined cookie sheets; refrigerate until chocolate is firm. Store refrigerated. 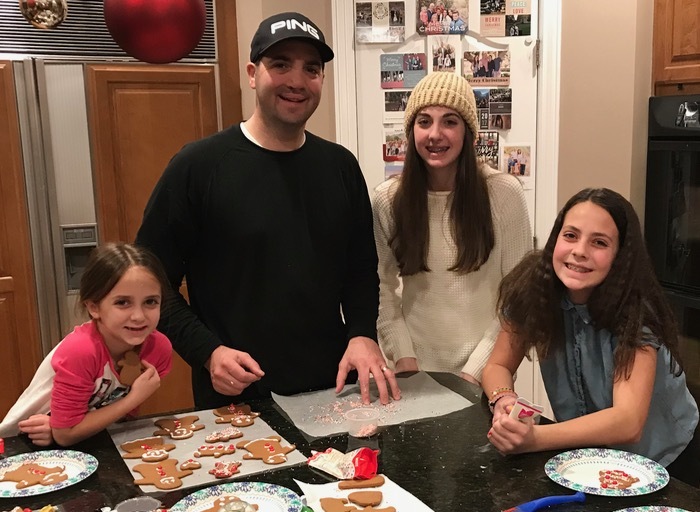 I don’t know where my mother got this recipe, or if she invented it herself, but it’s a cookie I always associate with her and with holiday baking. When I baked up a batch and brought them as a gift to each child at her 75th birthday party, all of us children nodding a knowing smile. 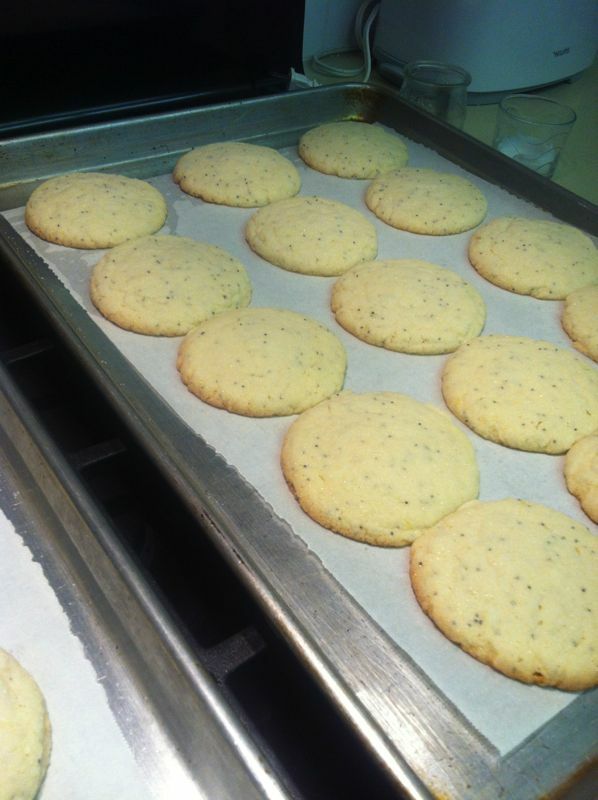 As a child I loved them warm, right out of the oven, or set in the sun on cooler day to warm the mint chocolate surprise waiting inside the spiced cookie. I liked nibbling the edges of the cookie, freeing me to separate the two halves like those sandwich cookies, and lick off the chocolatey goodness before finishing up the cookie. However you choose to eat them, they are a winner. 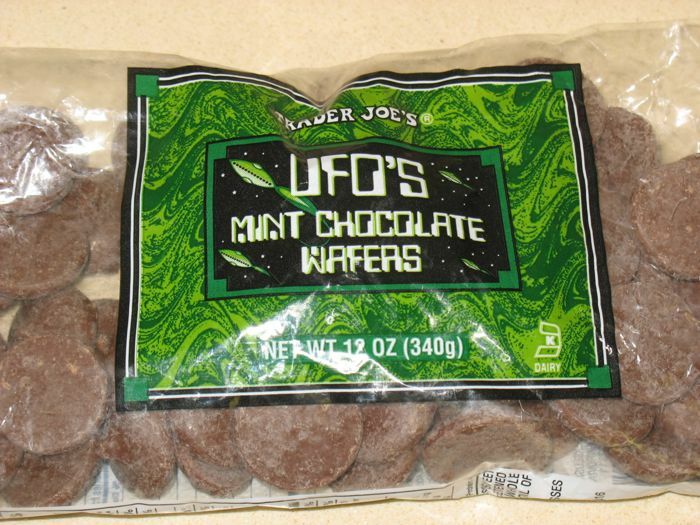 You’ll need these: Trader Joe’s UFO’s Mint Chocolate Wafers. Better get two bags because the wafers seem to disappear quickly. UPDATE: I went in to Trader Joe’s yesterday (December 2013), and they no longer make, nor carry these. 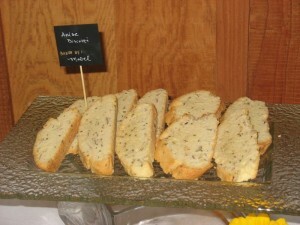 I’m leaving this post up anyway, as it is a good childhood recipe, and maybe someone, somewhere, will make these again! UPDATE, APRIL 2014: I found some Dark Chocolate Mint Wafers at Kitchen Krafts. I’ll try them out and see if they work okay. Cream shortening, butter, sugars and honey. Add eggs, beating well after addition. 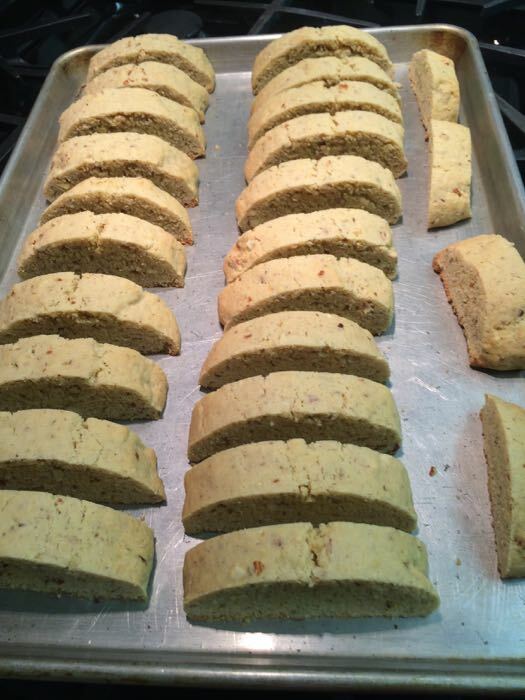 Mix together whole wheat flour, 1/2 cup white flour and spices. Blend and add to creamy mixture. Add the rest of the flour, depening on the size of eggs you used. Chill. 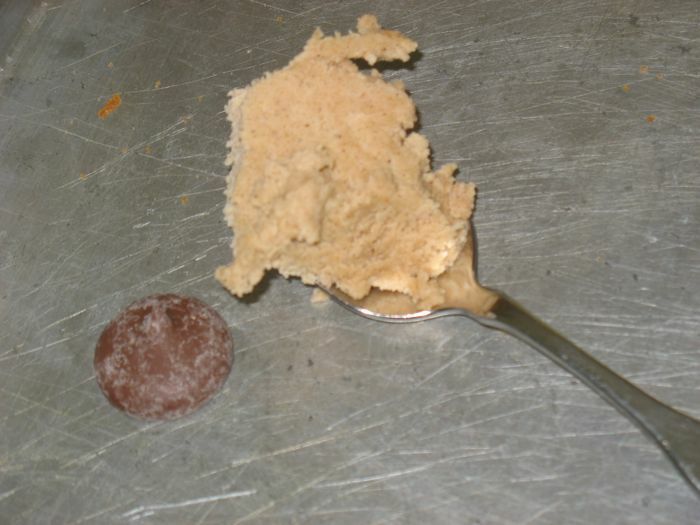 Wrap one Tablspoon dough around one chocolate mint wafer. Bake 375 degrees F for 10-12 minutes. Let cool on rack, if you can stand to wait. They freeze well. It’s baking time again, not only because I’m completely thrashed from grading papers and need a break, but also because this Sunday I teach the women in my church. The lesson is on Faith and we have a saying that Faith is like a seed (that needs to be nourished and fed). And there’s also that connection between faith and mustard seed which we all know about, but I wasn’t going to make mustard. So poppyseed it had to be. I got the base recipe from a Cooks Illustrated book, but sometimes they can over-analyze a recipe, so I tried to be easy with this one, and just enjoy the making of it. My changes are incorporated into the recipe below. How much flour you use may be a bit of a guesstimate. The dough should be soft, but not sticky. 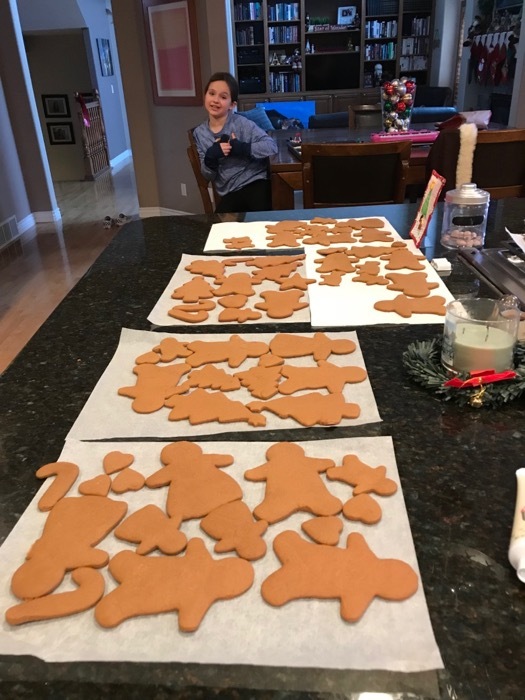 The overall yield was about 54 cookies, but those first warm ones go fast. This is a light, delicately flavored cookie. 1 pound butter, or 4 sticks, softened by sitting them out on the counter (resist the temptation to use margarine!) If you microwave the butter, it may get too runny, so be careful. Prepare your oven by adjusting the oven racks to the upper- and lower-middle positions, then preheating your oven to 375 degrees. Prepare the sheets by lining them with parchment paper (now sold at Costco!). Cream the butter and sugars together on medium speed, scraping as needed, until light and fluffy, about 3 minutes. Add the eggs, extract, lemon juice, lemon rind. Beat at medium speed until well combined, less than a minute. 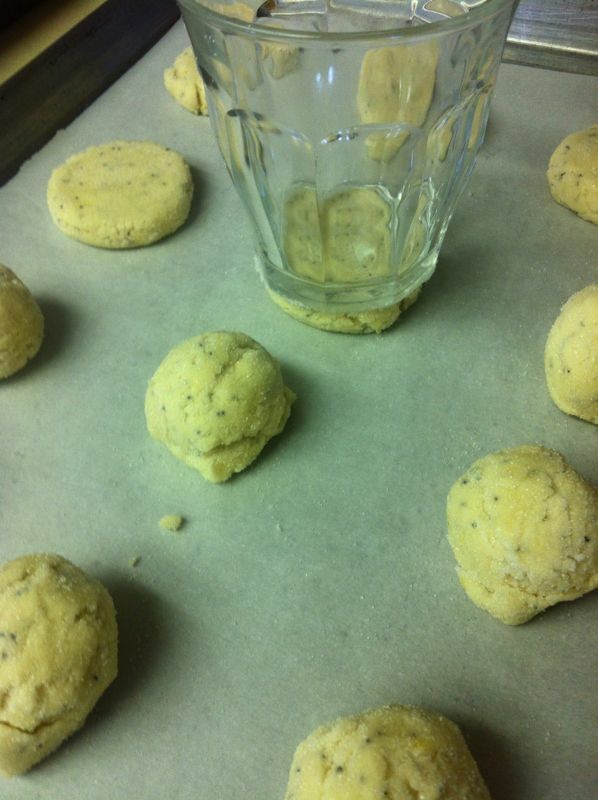 Stir together the 4 cups flour, salt, baking powder and poppyseeds. Add to creamed mixture and mix until just blended together. A light hand will yield a tender cookie. Test for stickiness. I ended up adding about another 3/4-1 cup flour. You don’t want them so stiff they turn out to be cardboard, but you do have to shape them for baking. Using one of those papers from your butter cube, butter up the bottom of a drinking glass that’s about 2″ across, then dip the glass into the sugar. Bake for 16 minutes, switching the cookie sheets mid-way through baking, as well as turning them around, so the cookies bake evenly. 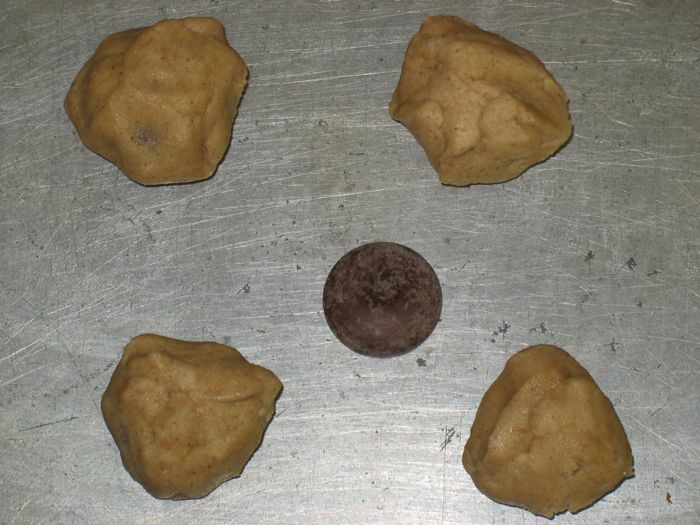 Bake until the edges are golden brown and the middles are just set and very lightly colored. The range the book gave was 15-18 minutes, but 16 was about right for us. If you are using parchment paper, slide the entire sheet — cookies and all — onto a wire rack for cooking. 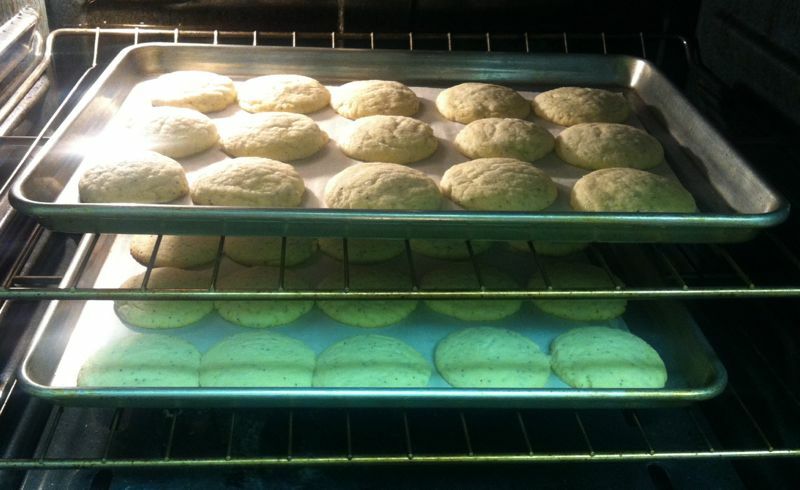 If you are not using parchment paper, let them cool on the sheets for about 3 minutes, then move them to the wire rack. 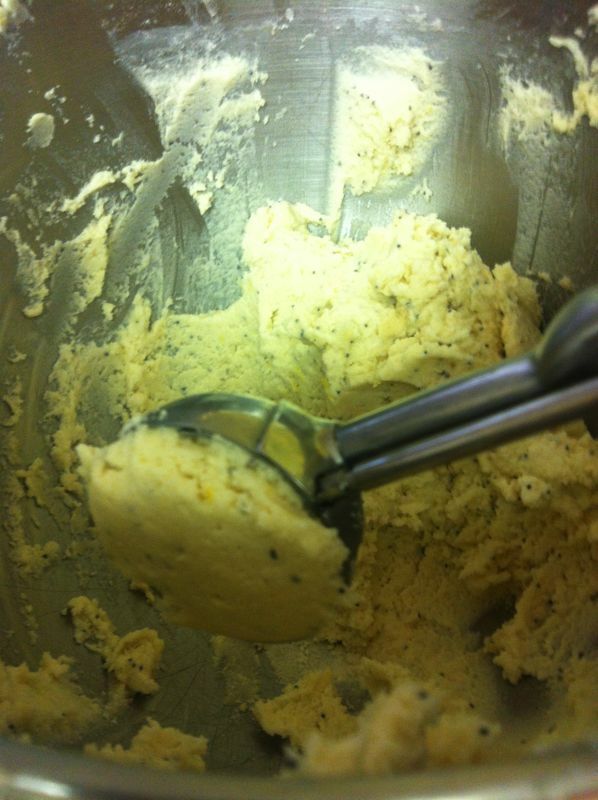 Note: the original recipe called for 2 Tablespoons poppyseed, so if you really like it, you can add some more. I was happy with the amount we had. 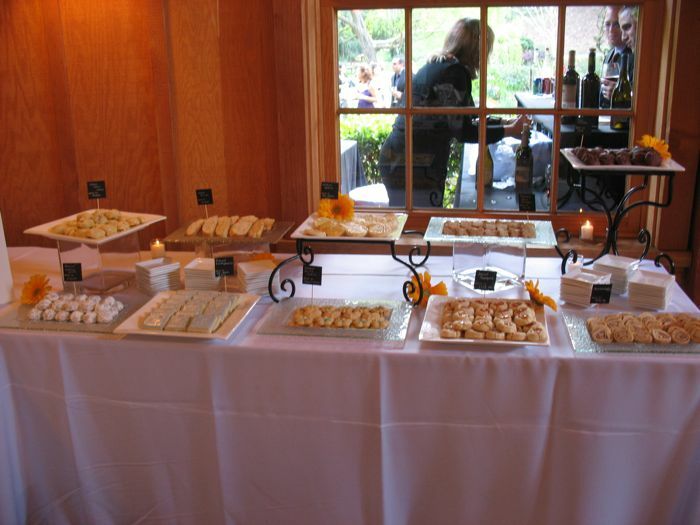 When we went to Drew and Lisa’s wedding in March of 2010 we enjoyed their cookie table, a traditional touch for those from Philadelphia (the groom is from that city). 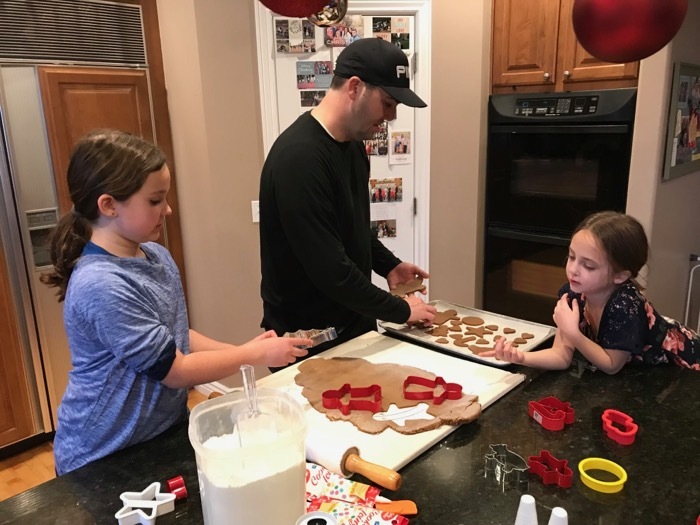 We fell in love with these cookies, so I looked for a recipe for them. I ended up combining two: one from the website Epicurious and one from the Cookies & Biscotti cookbook by Williams-Sonoma. Crush or grind the anise seed. 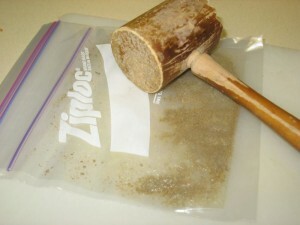 Here’s my high-tech version: an old kitchen mallet that has been used for playdoh creations for 20 years and two zip-loc bags. Toast the almonds, then chop. 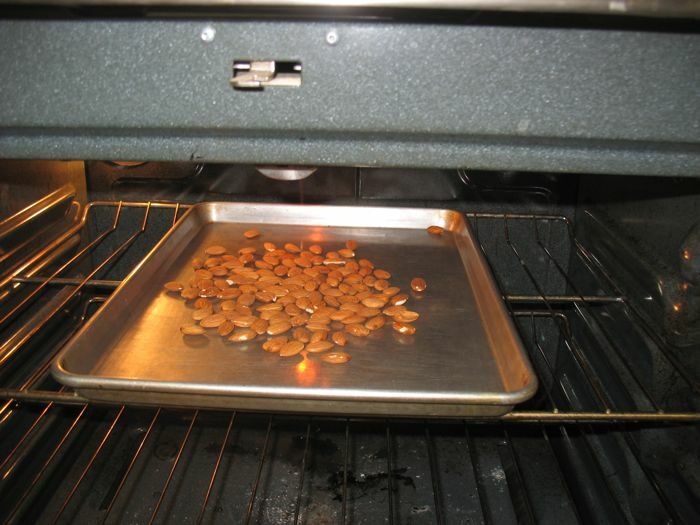 And here’s the toasting the almonds business–some do it in a pan on top of the stove, but I’ve burned them too many times. 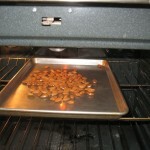 So I do it under broiler–this also works for when you make Butternut Crunch Toffee at Christmastime. In mixer, mix sugar, melted butter, 3 eggs, vanilla extract, lemon rind and ground aniseed. In another bowl, sift (or stir together) flour, baking powder and salt into medium bowl. Add flour mixture to egg mixture and stir on low speed, scraping when needed until well blended. (Yes, I know I did it backwards–I fixed it for you.) Mix in almonds. Glop half of the dough onto the parchment-lined cookie sheet. Dough is kind of gooey–so I used my spatula to shape each dough half into 13 1/2-inch-long, 2 1/2-inch-wide log. 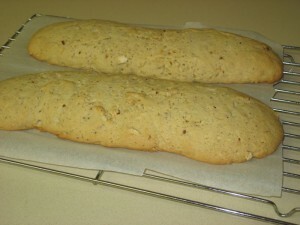 Mine got a little wide, so the final biscotti were a little flat. Remember that, when you shape them. Space the logs 2-3 inches apart. Bake logs until golden brown (logs will spread), about 30 minutes. They should be firm to the touch. Cool logs completely on sheet on rack, about 20 minutes. 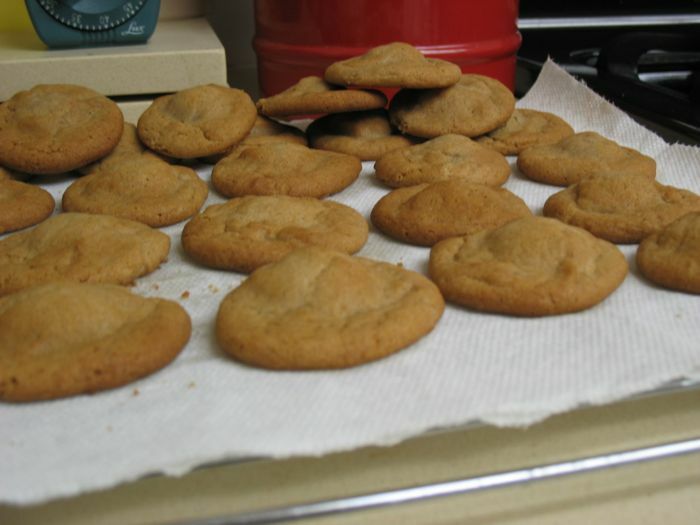 I dragged mine over onto a baking rack by using the edge of the paper, and tilting the cookie sheet a little bit. Don’t turn off the oven! If you do it this way, you don’t have to turn them over, and you can get it all on one baking sheet. Bake 10-14 minutes. Transfer to rack and cool. 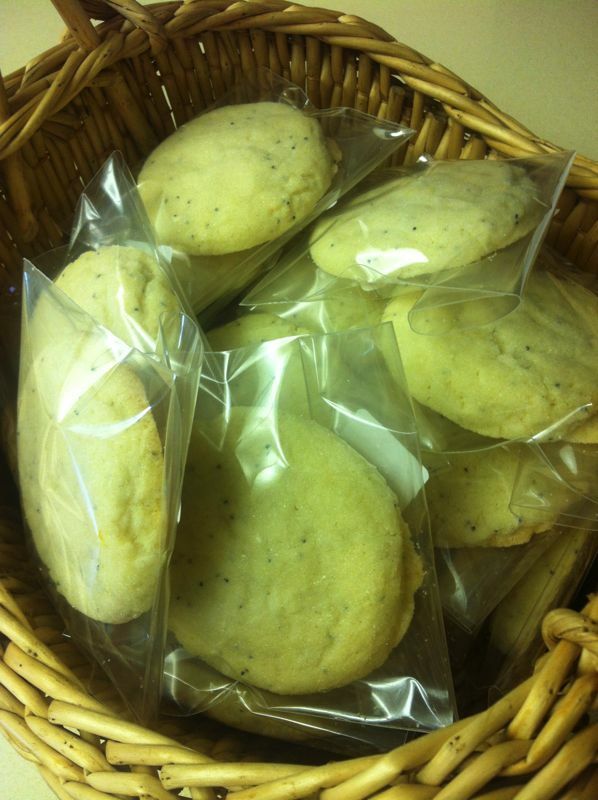 These can be prepared 1 week ahead of your Big Party. 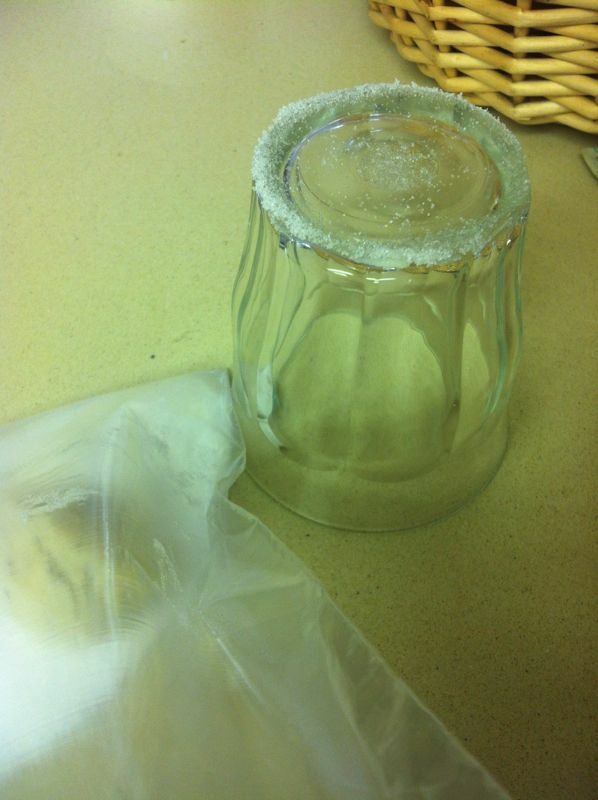 Store in airtight container at room temperature, that is if they last that long. 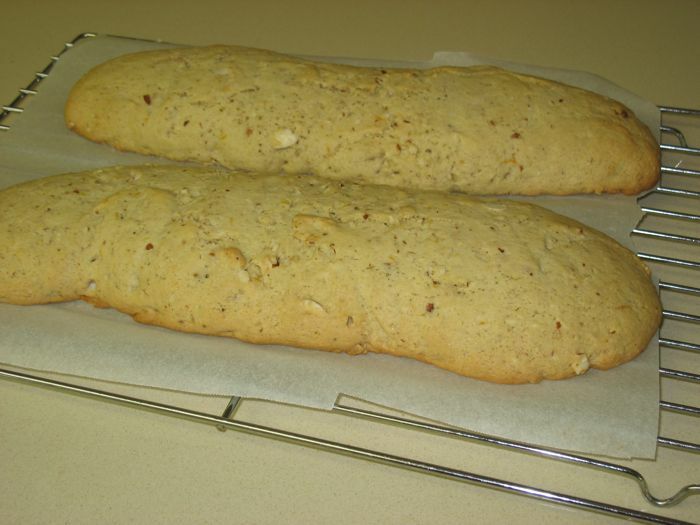 These have a melt in your mouth crispness that are typical of homemade biscotti. I’ll never go back to store-bought again. Note: One interesting thing about the Epicurious website is the community, and their many comments. From those, I gleaned that some have changed this by adding 1 Tbs. orange zest, cranberries, chocolate. Some say okay not to crush the seeds. Others say to substitute 1 tsp. anise extract.